Find straightforward checking — accounts with $100 balances have no service fee, no minimum balance requirement, and no surprises. 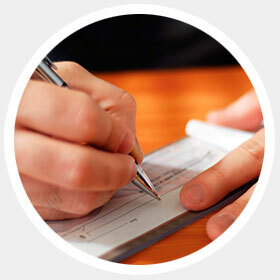 Ark Valley Credit Union Checking keeps your account consistent from month-to-month. So you know exactly where you're going, for whatever life throws at you. No need to change your banking habits just let us help keep you moving on to new adventures. Worry free checking at Ark Valley Credit Union.